Now al-Khattab, who was born Joseph Leonard Cohen and was brought up in New Jersey and in Brooklyn in a Jewish home, tells NPR he made a big mistake and describes himself as a "failure." He's scheduled to appear in a federal court in Alexandria, Va., on Friday to be sentenced on terrorism charges. Back in October, al-Khattab pleaded guilty to using the RevMuslim website to "place persons affiliated with Jewish organizations ... in reasonable fear of death or serious bodily injury." And for doing so, he faces up to five years in prison. "I pleaded, I don't know the exact wording of it, but it was disseminating a threat on the Internet," al-Khattab said in an interview with NPR ahead of his court appearance. "What I did was stupid and it was wrong and I am paying the price for that now, period." What al-Khattab did was post a video in 2009 of violence in the Gaza Strip. He then encouraged RevMuslim followers to seek out Jewish leaders in the U.S. and, in his words, "deal with them directly in their homes." "They interpreted me giving the message of Islam as being a threat to the Jewish community, which it wasn't," he began explaining. "OK, OK," he said, "I am not defending that." He says he "fell in" with people who were more radical than he was, but law enforcement officials say al-Khattab spearheaded the group's radicalization efforts. Mitch Silber used to be the New York Police Department's highest-ranking terrorism expert and ran its Terrorism Analysis Division. Now he runs K2 Intelligence's Data Analytics practice. He said for a time after 2007, Revolution Muslim appeared to have some connection to almost every formal terrorism investigation they opened. "RevMuslim became very proactive in the New York City area," Silber said, "both publicly, doing demonstrations on the streets on New York City, as well as online, having a pretty significant Internet component to their efforts. Al-Khattab was one of the two leaders of the group, he was a chief propagandist, he was an organizer, he was a provocateur." Revolution Muslim's YouTube channel and website made one-on-one recruitment unnecessary. The group could goad young Muslims to action with provocative posts on the Web. They put up videos of a radical cleric known as Sheikh Abdullah Faisal who, among other things, preached that it was good to kill those who don't believe in Islam. Faisal is now in Jamaica, where local Muslim groups have shunned him and his radical message. Samir Khan, the North Carolina man who edited an al-Qaida magazine and was killed by a drone while riding in the same vehicle as radical American cleric Anwar al-Awlaki in Yemen, was a frequent visitor to the group's chatrooms. 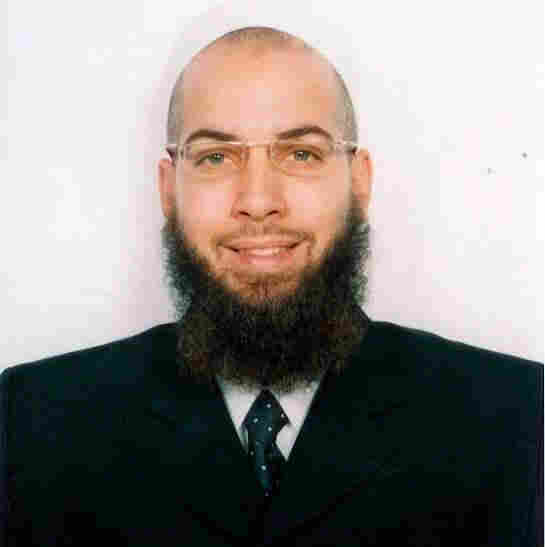 Al-Khattab was the last of the group's core leadership to have evaded authorities, until he pleaded guilty last fall. "I thought we had stayed on the right side of the line with regard to free speech," he said. "But it appears we went over it, we went too far, and, I'll say it, we were wrong." Al-Khattab said now his concern is that his prison sentence will raise a rallying cry in the very radical forums that he helped create. He says he doesn't want to be lionized as a religious warrior — a mujahadid. "This was stupidity and this is what happens when you hang out with the wrong people," he said. "So it is my fault. I know when I go to jail, they will be, 'Allah, Allah, he's a mujahadid.' I am not a mujahadid. I am a failure."